Smoking a hookah (water) pipe has become increasingly popular commercially and socially. But how dangerous is it, and could it be a gateway to smoking cigarettes? It’s been an assumption that because of their lack of portability, the fact that hookahs are often used on special occasions, and because they are uniquely found in ethnic restaurants of Middle Eastern association (where they are used following a meal), that they would not lead to widespread and habitual use. However, data shows that usage is on the rise and seems to be fueling a wave of new cigarette smokers. This issue was addressed in a recent study published by the Center for Disease Control and Prevention (CDC). The CDC used data from the National Adult Tobacco Survey (NATS), which focused on individuals, ages 18 to 24. The data showed that current water pipe smoking, even when casual, was associated with an increased susceptibility to a cigarette smoking habit. The causal relationship, however, has not been clearly established. 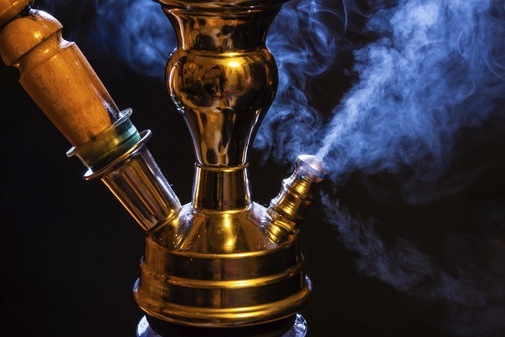 Further, more robust data on hookah and water pipe usage comes from studies that gathered and assembled findings directly in Jordan and the Middle East where usage of the hookah and water pipe is quite prevalent. The problem of simply assuming a link between hookah use and smoking does not take into account cultural influences on the behavior of smoking in general, be it hookah, cigarettes or both. A problem with some of the data captured is that it was self-reported. Hookah (water) pipe smoking originated in India and Persia, over 500 years ago. It consists of a water pipe with long flexible tubes connected to several mouthpieces. The chamber at the base contains the tobacco which is heated with coal. Tobacco is often flavored with molasses or other products and called “shisha.” The hookah pipe is frequently used in group settings, and the same mouthpiece may be shared among users. Let’s be very clear: Hookah smoking is not safer than cigarette smoking. 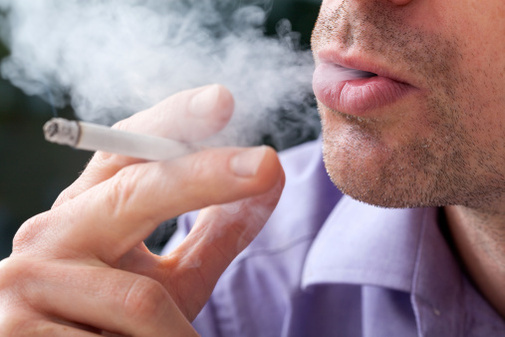 The typical cigarette smoker will smoke a cigarette over a 3 to 5 minute period on average, very often in a casual manner, without paying attention to how deep a breath or drag they are taking. Smokers also typically don’t notice how much of the cigarette is being consumed. On the other hand, the hookah session is a social event where the act of smoking is the center of behavior and the typical session can last 45 minutes to an hour. This would be the equivalent of smoking a pack of cigarettes over an hour. An hour-long hookah smoking session typically involves the person taking 200 puffs, while smoking a single cigarette involves about 20 puffs. Nicotine is the addicting element incorporated into both hookah pipe use and traditional cigarette smoking. It is the factor most likely to lead someone who exclusively smokes a hookah pipe to become a cigarette smoker. The amount of nicotine consumed during hookah smoking is also increased, considering how much is absorbed through the saliva. This increases the likelihood of an individual moving over to cigarettes and a serious smoking addiction. According to a study published in the Journal Cancer Epidemiology, Biomarkers and Prevention, just one evening of hookah smoking can increase urine levels of nicotine to more than 70 times from the baseline. It’s also important to recognize that it’s not just the amount of nicotine being absorbed but also the speed at which it is inhaled and absorbed that provides health dangers. Exposure to too much nicotine in a short time period can have a significant effect on the cardiovascular system, especially in a nicotine naïve individual. Aside from the nicotine, there are other harmful components to hookah. There are solid particles in the hot coals used to burn the tobacco in a hookah pipe which can be carcinogenic. The charcoal used to hear the tobacco produces high levels of carbon monoxide which can have a direct effect on the utilization of oxygen by the body. Other products in the smoke produced during hookah pipe use include: tar, formaldehyde, cyanide, and ammonia, all of which are carcinogenic. To those dangers you also need to add the persistent secondhand smoke exposure that users are exposed to during that 45 minute to hour period of usage. Even when you’re not smoking, you are sitting in close quarters to others smoking and being exposed to that cloud of smoke.By sharing the mouthpiece, there’s also the risk for transmission of other diseases such as herpes simplex and tuberculosis. There are now electronic hookah devices including steam stones and hookah pens. These products are battery powered and turn liquid nicotine and other flavorings into a vapor which is then inhaled. These devices mean increased portability and therefore increased usage. These increased convenience of these devices may mean that the, “special occasion use” is really a disappearing phenomenon. Recognize cravings especially if you choose to stop a hookah smoking habit and reach out to your health care provider for support. Don’t Get Hooked on Hookah! Eli Hendel, M.D. is a board-certified Internist and pulmonary specialist with board certification in Sleep Medicine. He is an Assistant Clinical Professor of Medicine at Keck-University of Southern California School of Medicine, Qualified Medical Examiner for the State of California Department of Industrial Relations, and Director of Intensive Care Services at Glendale Memorial Hospital.His areas of expertise in private practice include asthma, COPD, sleep disorders, obstructive sleep apnea, and occupational lung diseases.